I've got a pretty decent broadband connection, but it's been slow for the last couple of years. I've tried a lot of expensive wireless routers, range extenders, high-gain antennas, and so forth but nothing helped very much. I still had lots of buffering while watching streaming media, and felt like I wasn't getting the benefit of the high-speed broadband I was paying for. Recently, I heard about a product called "eero" which claims to be a better WiFi solution so I picked up a 3-pack on Amazon (pictured above). I installed the eero units and did some tests. The setup process for the eero was extremely easy - you simply follow step-by-step directions in the eero app on your smartphone, and it guides you through everything you need to do. The setup process includes guiding the placement of the eero units to maximize your WiFi speeds. You see, one of the ways eero improves your WiFi performance is by using a different (non-WiFi) sub channel to create a "mesh" communication model in your home. An informative post on the eero blog goes into why and how their approach is different from traditional range extenders, if you're interested in the tech. Check out the two speed tests below for before and after comparisons. You can see that my speed just about doubled for both downloads and uploads - and this is using the same broadband router for internet access, the only difference is the WiFi gear. These were not cheap, but I am getting so much better performance - and greater range - that I think it's worth it. 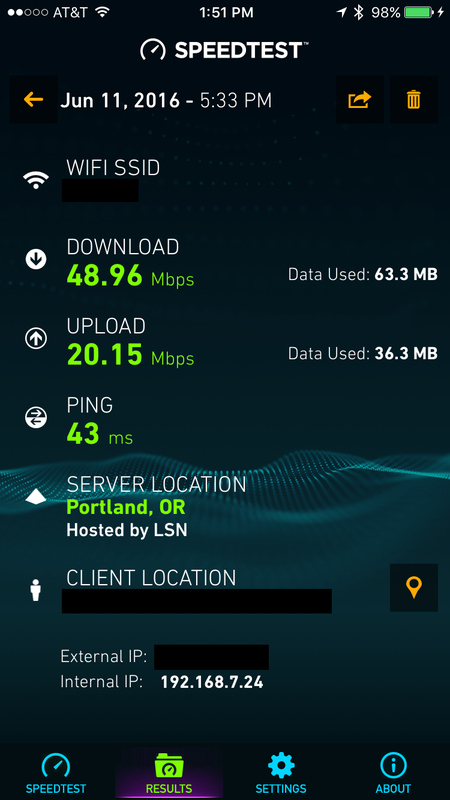 Not only am I getting faster speed for all the connected devices in my home, and our streaming media works flawlessly now. If you need better WiFi performance or increased range in your home or office, I highly recommend eero as a solid choice.